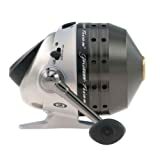 Category Archives for "FISHING REELS"
In this article, you will be guided about some of the best underspin reel reviews as well as maintenance and casting techniques. 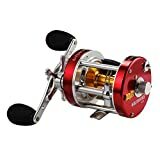 ​Underspin reels are a type of lightweight reels. 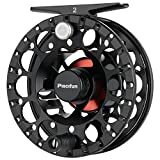 This reel type is a product of years of research and the latest technologies. 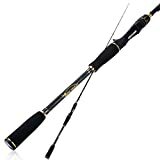 They are generally easier to use, and while most anglers consider them as something only kids and beginners should use, they can actually add challenge to the fishing game of those with years of experience. 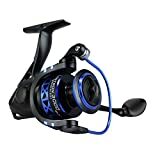 Underspin fishing reels or triggerspin reels are kind of like a combination of spinning and spincast reels. Like spin cast reels, they have an enclosed face. 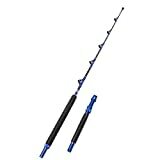 They also hang underneath standard spinning rods like spinning reels do. However, they have an added feature: they have a trigger that’s useful when casting. 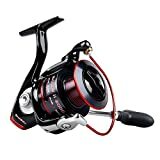 What are Underspin or Triggerspin reels? 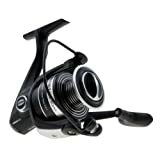 The Daiwa Underspin XD Series is my best pick because I like how it’s ultra-lightweight and very well built. 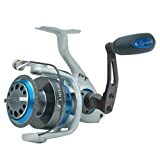 You also get a good deal for a nice reel for a reasonable price. 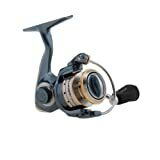 Unlike most other similar reels, Daiwa XD uses a trigger release activated by your finger through the forward-facing lever. 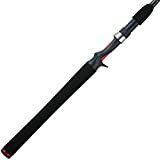 It also has a bottom-mounted configuration that prevents line twisting or backlash. 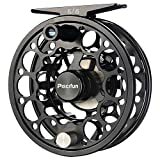 This reel is constructed with rugged metal gears and a Hardboyz Rigid aluminum alloy which makes it solid and durable without bearing too much weight. 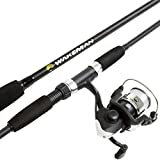 It also allows me to get an excellent hook set, smooth retrieves, and longer casts thanks to the oversized line aperture, ball bearing drive, and rotating titanium nitrided line pickup. 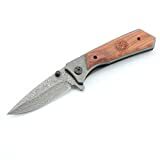 Aside from the trigger release, it also has a rear dial operated drag that makes it manageable with only one hand and prevents accidental or unwanted adjustments. 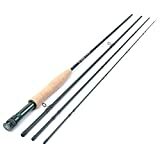 It is also suitable for use with a wide variety of rods including noodle models and flies. 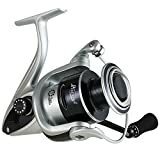 This Spincast convertible triggerspin reel from Zebco is made with a highly durable graphite frame, and industrial-grade brushed stainless steel covers. 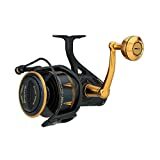 The reasons why I did not choose this as the best underspin reel on the market among those listed here is because it is slightly more expensive than the Daiwa XD. There are also very few reviews about it, a nice chunk of which report about it negatively. Therefore, I assumed that it does not work as well for everybody and may somehow require some getting used to. 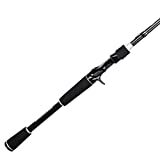 Anyway, what I like about it is its continuous Anti-reverse technology that prevents the handle from moving while I pay out the line to reel in heavy or struggling fish. 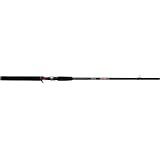 It also comes pre-spooled with a 4-pound Cajun line that is 90 yards long. It has a 3-bearing drive, and a convertible retriever as well. It has a gear ratio of 4:3:1. 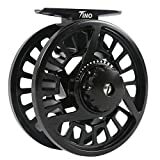 If you are looking for a best triggerspin reel and you have a limited budget, this Zebco Micro Triggerspin Reel is one of your best bets. 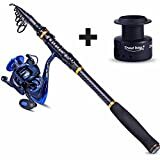 For only a few bucks, you get a triggerspin casting trigger with a line release system and a selective anti-reverse mechanism-equipped fishing reel with multiple stops. I also applaud the adjustable drag that lets me adjust the drag according to the type, size, and strength of the fish using a simple dial. I also like its graphite frame and corrosion-resistant stainless steel covers. 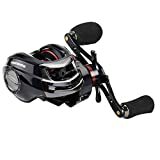 Whether you’re right-handed or left-handed, you can use this reel easily thanks to the changeable ambidextrous retrieve setting. 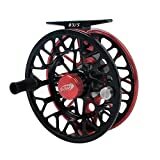 This reel can be used by anyone in the family, beginner or expert alike. It features a polished stainless steel front cone and rear cover, a steel handle, and a titanium line guide as well. It also has insta-grab dual titanium pickup pins and is driven by a 4:1:1- ratio gear. 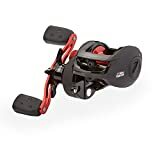 Another thing I like about this reel is its adjustable, multi-disc drag system which allows me to control the drag depending on my target fish. 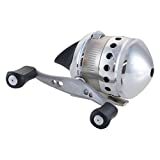 As mentioned earlier, an underspin or triggerspin reel is essentially just a combination of a spinning reel and a spin cast reel. 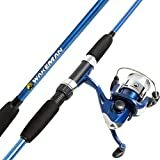 It can also be viewed as a spin cast reel mounted under a standard spinning rod. It has a lever also known as the “trigger” which is held by a finger, usually the forefinger. When casting forward casts, the trigger is released, and the line unwinds and releases from the fixed spool. Similar to spin cast reels, underspin reels have pick-up pins instead of the usual wire bails to hold the line. 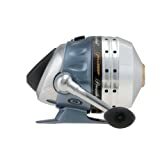 The closed face of an underspin reel is often a rounded hood where a hole for the line to pass through is located. The latest models typically feature larger hole sizes to allow for longer and smoother casting. The enclosure can be made with various materials like hard plastic, aluminum alloys, or other metals. This enclosure is where you can find the spool system along with other components and mechanisms that prevent backlash, tangles, or twisting of the line. 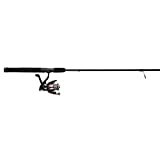 While most lines are usually light lines of 4-, 6-, or 8-pound tests, other brands come with heavier pound test lines of around 15 to twenty pounds. When choosing a line for an underspin reel, a monofilament line works the best to provide smoother casts and minimum resistance. Braided lines, on the other hand, cause much resistance. 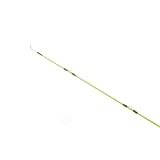 This is because they are great for catching smaller, medium-weight panfish. They can also be used to catch larger game fish. If you are up to a nice bit of a challenge, that is. 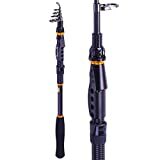 Manufacturers nowadays include upgraded handles, drag systems, gear retrieval systems, and more that make your fishing experience even more fun, enjoyable, and exciting. 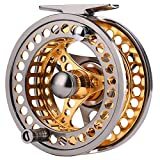 Underspin reels are very suitable for light tackle although gear ratios of 4:1, which is higher than most gear ratios are also very common. 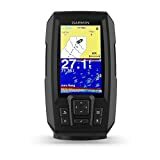 This makes fishing with a wide variety of lures much easier. These drag systems are also typically very good although they may not be as great as open-faced tackle drag systems. 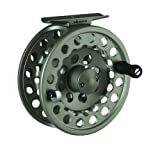 Many underspin reels are also made with interchangeable left or right handle retrieve systems. A few of the different styles are double grip, single grip, and soft touch. 1. When casting a triggerspin reel, the first thing you should do is squeeze the trigger. So hold it with your forefinger or index finger. This holds and secures your fishing line. 2. Next, position the rod tip at an angle behind you somewhere within or between the two o’clock and three o’clock positions if you plan to make an over-the-shoulder cast. For a sidearm cast, you can also bring your rod to one side, all the while still holding the trigger. 3. Determine your target and keep your eye on it. Focus on aiming at that target. 4. Begin making a forward cast by swinging the rod tip back a little and then shooting it forward with a single smooth and continuous motion. Make sure to keep your reel free from dirt, sand, and other debris. In cases where this cannot be prevented, remove the debris as soon as you can. Store your reels in a dust-free shelf, shed, or storage area. Clean and dry your reel completely before storing to avoid rust and other problems. Use a protective container, bag, or cover for your fishing equipment. Apply lubrication on parts of your reel that needs it, but only sparingly. Do not use WD-40 but choose recommended reel lubricants only. WD-40 tends to build up over time, which can run your equipment on top of ruining your otherwise smooth retrieves and casts. 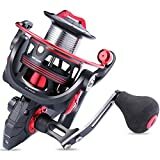 So those are the best underspin reel reviews! Remember to follow the care and maintenance tips and casting instructions especially if you are a beginner. Knowing the basics is always important for any activity or sport. 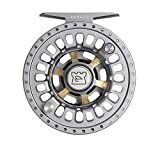 Spincast reels improve your angling experience to quite an extent. 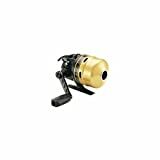 These are versatile reels that are perfect to be used by beginner anglers. 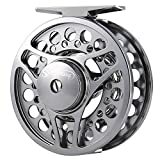 These spin cast reels are also called 'Open Face' reels. 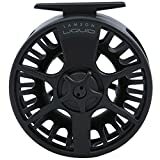 These reels stay extremely balanced by hanging below the rod that makes them comfortable for the angler to handle and use. 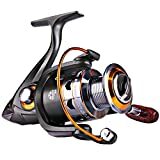 Therefore if you are a beginner or an intermediate angler and are looking to purchase the best spin cast reel then you must first know the real well and study the various kinds with precision. 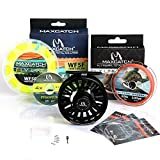 How To Tie A Spinnerbait With Step by Step Instructions? Do you want to start using a spinnerbait for catching your fishes? Are you facing problem in productivity despite using perfect spinnerbait? Perhaps, you are not tying the bait appropriately to the monofilament fishing lines. If you want to know ﻿﻿﻿how to tie a spinnerbait to your line, this guide is perfect for you. Before we go into the instructions, let us know what exactly a spinnerbait is. 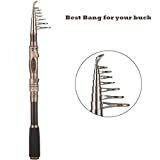 It is one of the widely used and popular types of fishing lure. It is made up of a hook which is attached to a head, frilled skirt, and attractive blades. 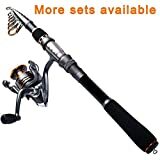 It is popularly used for its ability to catch versatile fishes and is available in different colors. If you are struggling to tie a spinnerbait perfectly, this guide is﻿﻿﻿﻿ your perfect﻿ read. Spooling a fishing line in a bait caster is an embarrassing thing for many anglers who lack the knowledge on how to do it. 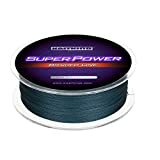 Some anglers waste hundreds of fishing line yards only to become experts in creating backlashes on these fishing lines. 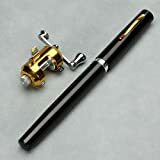 This blueprint guides those anglers who experience the spooling embarrassment while thumbing the line on the bait caster and thus liberating them from this agony. I can comfortably say that my perfection in using a bait caster has always made other anglers to envy the ease at which I use it and the rewarding result I get from it. I always tell them that with just a little patience and a lot of practice, they can get to be like me, or even better than I am. 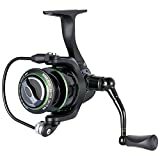 Despite the fact that most anglers prefer the spinning and casting reels that are easier to use, a baitcasting gear always gives you an upper hand compared to other types of reels. Anglers can catch fish as a means of earning a living and also as a recreational activity. 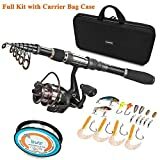 To have a fruitful and smooth fishing spree, you ought to have the appropriate fishing tools, appropriate tactics, endurance and zeal. To add to that, you definitely need to know how to use the fishing tools appropriately. One of the most important things that you need to know is how to spool a spinning reel. 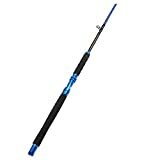 I took my time to learn how to do it because I realized that having it right is a big plus for my fishing activities. Each and every detail has to be done correctly, with almost no room for mistakes. A single mistake is bound to make a huge mess. 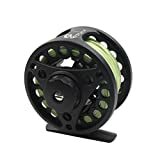 To help you avoid ruining your fishing spree, here are a few things that you should pay close attention to when spooling your reel. Fishing has always been my all-time best recreational activity next to traveling. Spending time wrestling with the fish to secure my catch always thrills me. 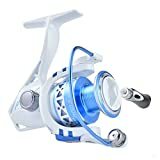 Due to this much experience, I have had enough time to experiment a couple of spinning reels, and this has enabled me to identify the best with the most appealing features. 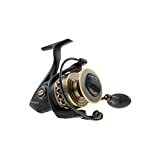 I have listed the ten best spinning reels putting into consideration their affordability for the budget-minded anglers. 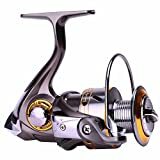 With the knowledge on the best spinning reels, you will always bring your catch home.